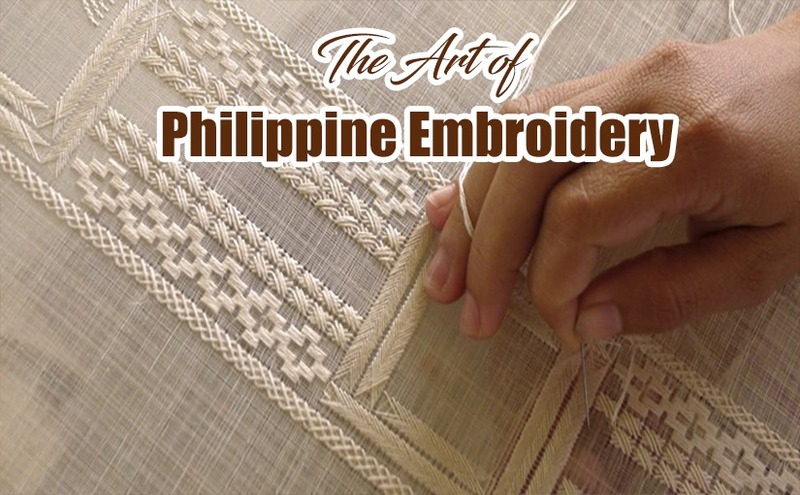 The embroidery tradition in the Philippines was born in the town of Taal, Batangas during the turn of the century. It has been a refined art in the society because of its intricate well-embossed appearance. It belongs to one of the finest arts in the world. The materials used in embroidery are Piña and other traditional fabrics. The former is a soft, flexible, and durable fine off-white fabric that is derived from the best mature leaves of the red Spanish variety of pineapple. During the Spanish times, piña was the most expensive fabric for Barong Tagalog on very rare and special events. In Taal, hand embroideries are described with smooth and even quality of embroidery stitches, fine, designed with fine, delicate shapes that are not really scattered in the entirety of the cloth, embossed quality giving volume to the design, and most of all, durable. Hand embroidery originally starts with a designer called the magdidibuho. He is in charge of stamping the designs on the cloth to be embroidered. After that, the cloth is then passed to the embroidered, whom they call the magbuburda, who embroiders the cloth in the place where the stamp is put. Another person does the cut-open portion of the embroidery, called the magkakalado. Embroidery is a very remarkable Philippine art and now it has been associated with many other native Philippine products that are being exported to almost all parts of the world. Now we have embroidered abaca bags and embroidered raffia bags that all come in good quality, one hundred percent handmade from the trusted Filipino hands. Aside from the weaved banig bags that are also a new trend today, this additional beautification of embroidering has made bags, clutches, hats, and other products look even more good and unique. What else do we have to say? Grab yours now!